I've mastered the meringue, baked lots of bundts over Christmas and I'm a bit bored of a classic sponge. It was time to try something new and I wanted to get some use out of my new KitchenAid (Thank you Martyn, best Christmas present ever). My blogging pal and amazing baker Amy suggested marshmallows so that's what I settled on. 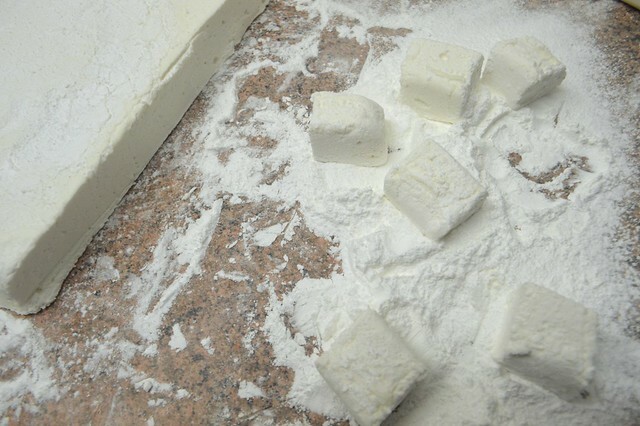 You might think it's not worth the hassle making your own but pulling off a homemade marshmallow recipe is easier than you think. This recipe gives you perfectly gooey marshmallows which are sooo much better than ones you can buy from a shop. You can toast these on a fire, package them up as gifts or just dip your marshmallow in hot chocolate. You will need a sugar thermometer and a spotlessly clean bowl to whisk the egg whites, and then you’re just a few steps away from soft, irresistible marshmallows. 9 sheets gelatine, soaked in 140ml water. 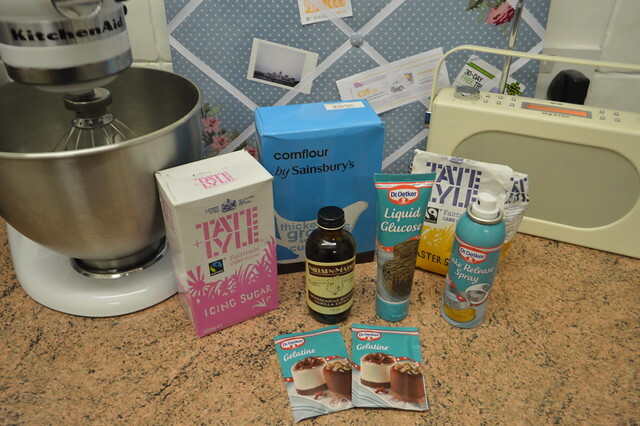 I used 2 gelatine powder sachets. 1. 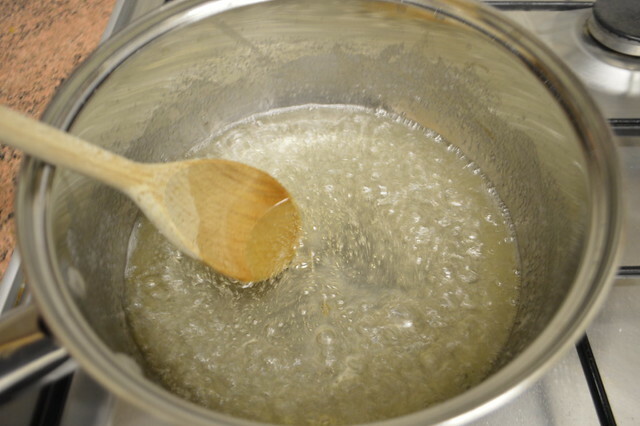 Place the granulated sugar, glucose and 200ml of water into a saucepan and bring to the boil. 2. Cook over a high heat until a sugar thermometer shows 127C. I didn't use one because I don't have one so I waited until there were plenty of bubbles and the syrup had thickened. I've read a lot of recipes and disaster stories online about marshmallows going wrong if you don't have a sugar thermometer so I think I was pretty lucky to make mine with out one. 3. Place the egg whites into a clean grease-free bowl and whisk to firm peaks. 4. Add the soaked gelatine sheets/powder and water to the hot sugar syrup very carefully. Stir through, you can pour this into a jug or pour straight from the pan into the egg white like I did. 5. 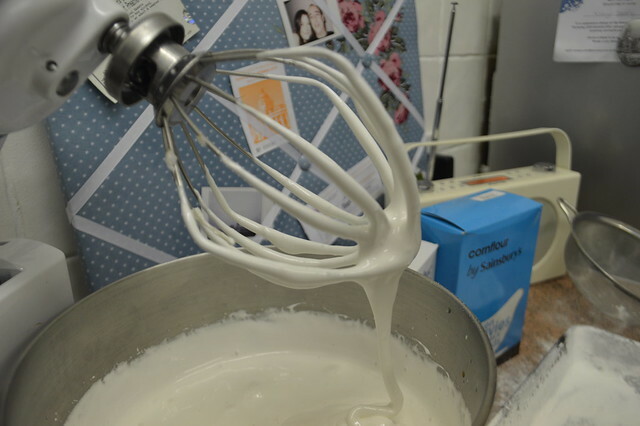 Continue to whisk the egg whites, then pour the sugar syrup onto the egg whites, whisking all the time until the whites are shiny. 6. Add the vanilla extract and continue to whisk for about 5-10 minutes or a but longer until the mixture is thick enough to leave a trail when lifted up. 7. Oil a shallow 30x20cm tray. 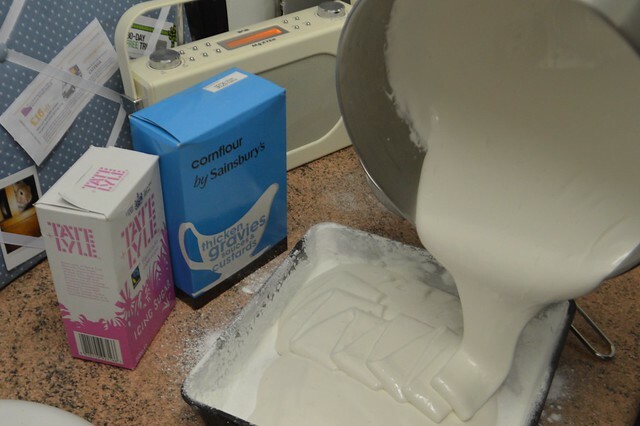 Dust the tray with some icing sugar and cornflour, then tip the mixture onto the tray. If you don't have a tray like this you could use whatever you have like a round cake tin or just spoon the mixture into blobs on a tray if you don't mind them being irregular shapes. 8. Place in the fridge for a couple of hours to set or leave on the side overnight to set. 9. Dust some more icing sugar and cornflour over the work surface. Loosen the edge of the marshmallow, then turn out onto the dusted work surface. 10. 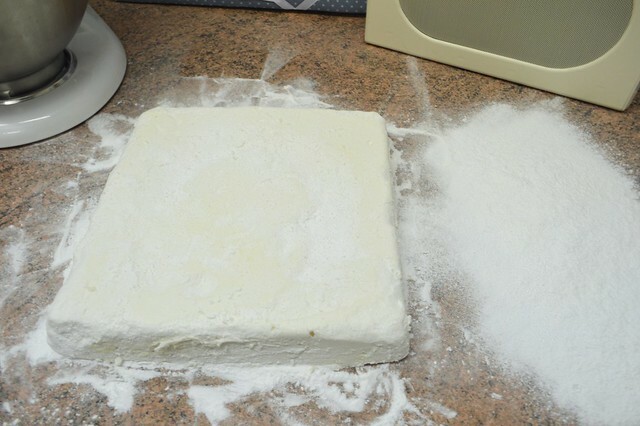 Cut into squares and roll in the icing sugar and cornflour to coat totally. I can't put into words how well these turned out. I've still got a little stash left and I'm rationing them so I can have some with a mug of hot chocolate on Sunday. They keep really well in a sealed tub or bag. Yes, you can buy a bag of marshmallows for £1 in the shop but these ones will just blow them out of the water. They are a great January treat because they are low fat and if you're following the Weight Watchers plan they are only 1 Pro Point per portion. I can't wait to try some variations like adding some toasted coconut to the mix or raspberry puree swirled into the tin. You could even add a dash of colour to yours, the possibilities are endless. Have you made marshmallows before? What would you suggest I try to make next? 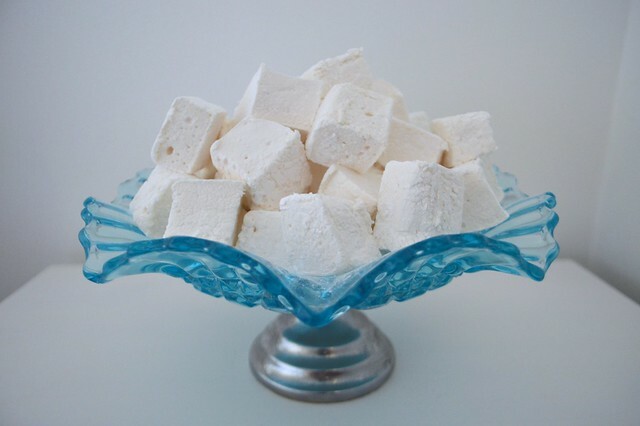 I'm kinda like you, I was always of the opinion that what is the point in making marshmallows, but i've been seeing more and more recipes recently and fancy giving it a go! Oh gosh I need to make these asap I think Gem! They look delicious! There's an "artisan marshmallow maker" here in Edinburgh who converted me to them... I really should make them some time! Oh wow! They look amazing! :D I probably should leave now though before I fancy them a little too much! I've always wanted to make my own marshmallows. These look seriously tasty! Mmmm glad they turned out well! I love marshmallows sooo much! 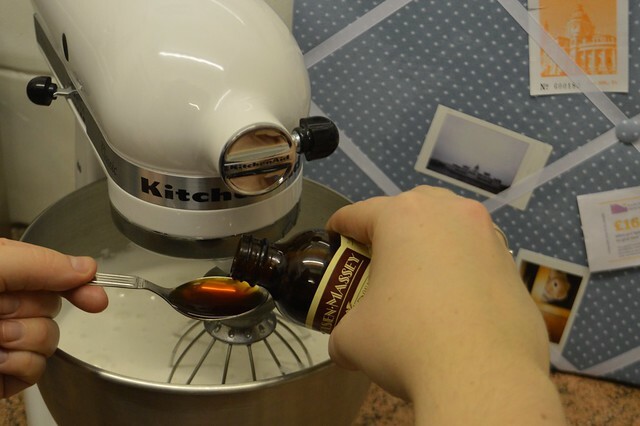 Yep, still jealous of the KitchenAid. I think that's going to be my birthday wish this year! Making marshmallows has been on my list for ages, I really must get around to it, they look awesome.